This is the stand I used to hold the 2010 calandars that I made for Christmas gifts. I am getting lots of praises on these Display Stands. You can use them for so many things. How about making a photo album of your Christmas pictures? What a great gift idea for your Dad and Mom or your In-laws? The price is right too as they sell for only $7.99 and are made of a very nice sturdy metal. 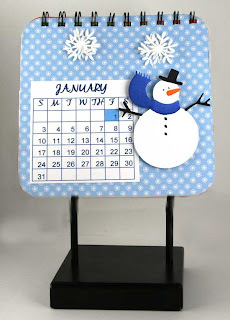 I hope to start next year's Christmas present soon and will again use these great stands. 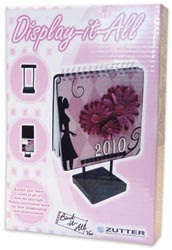 Please e-mail me if you would like to purchase any of these stands. I accept Visa, Master Card, Discover and PayPal. If you have not ordered from me before, I will need your mailing address, your telephone number and how you wish to pay.